Thank you for arriving on my website. 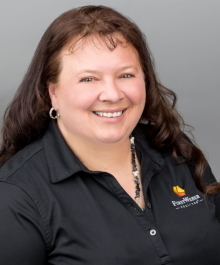 As your neighbor and Realtor® Karen can tell you all about your local community schools and events, as she has lived in the Lake County area for over 15 years. Karen has over 20 years of Customer Service experience and as such measures success in the satisfaction of her customers. Helping clients succeed in one of the happiest decisions of their lives is Karen's passion. With my diverse knowledge and desire to find my own work life balance puts me in a special position to assist your family in selling or finding your home.